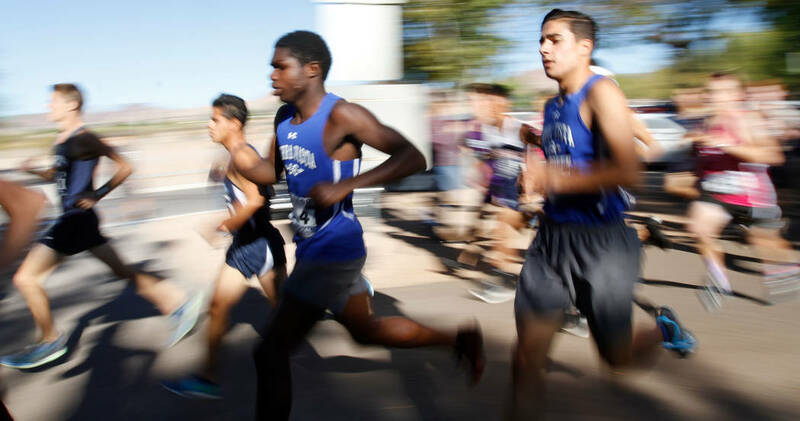 Arbor View’s boys cross country team and Centennial’s girls team won Class 4A Sunset Regional titles on Friday morning at Veterans Memorial Park. 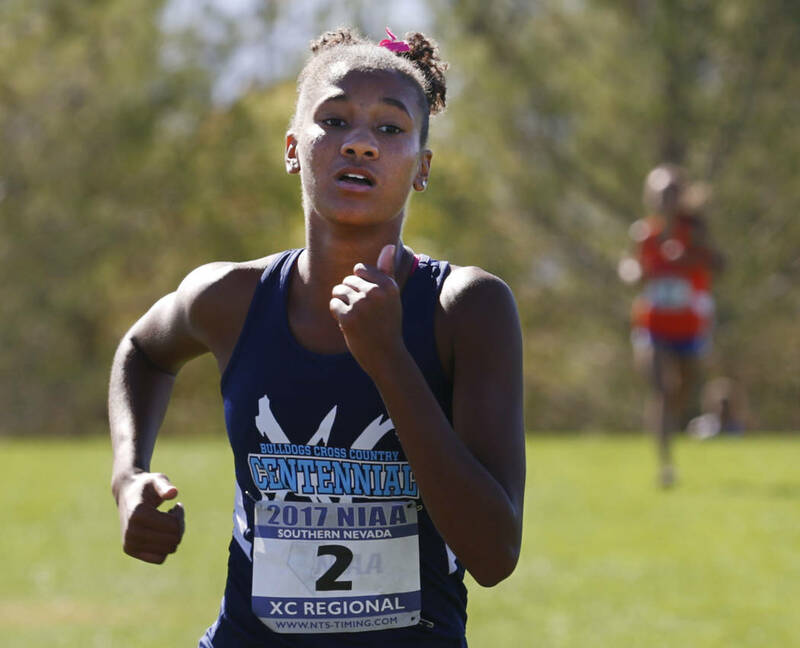 Centennial senior runner Alexis Gourrier conceded that she didn’t have the “best summer training” before cross county season started in August. She’s still the best runner in the Class 4A Sunset region. 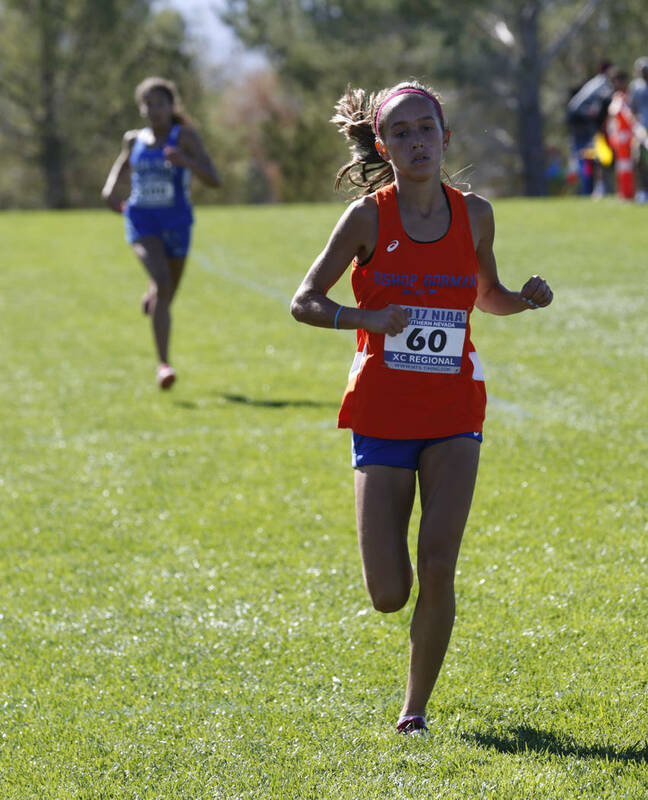 Gourrier finished the 3.1-mile course at Veterans Memorial Park in Boulder City in 19 minutes, 54 seconds to win the regional meet and earn her second consecutive region title Friday morning. 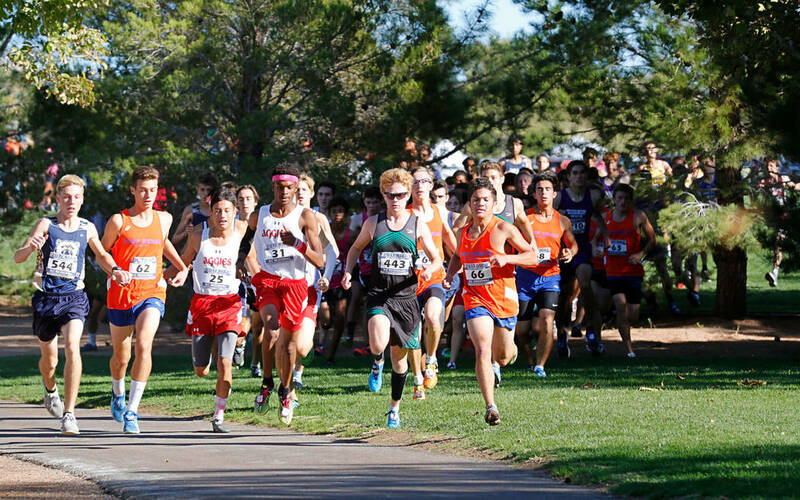 Gourrier’s finish was 10 seconds faster than second-place finisher, Emilia Puskas of Bishop Gorman. Centennial’s Kloe Littleman (fifth place), Josephine Ruggieri (seventh), Leslie Barba (10th) and Delani Dietrich (13th) teamed with Gourrier to help the Bulldogs secure 33 points and the team championship ahead of Gorman, which had 80. 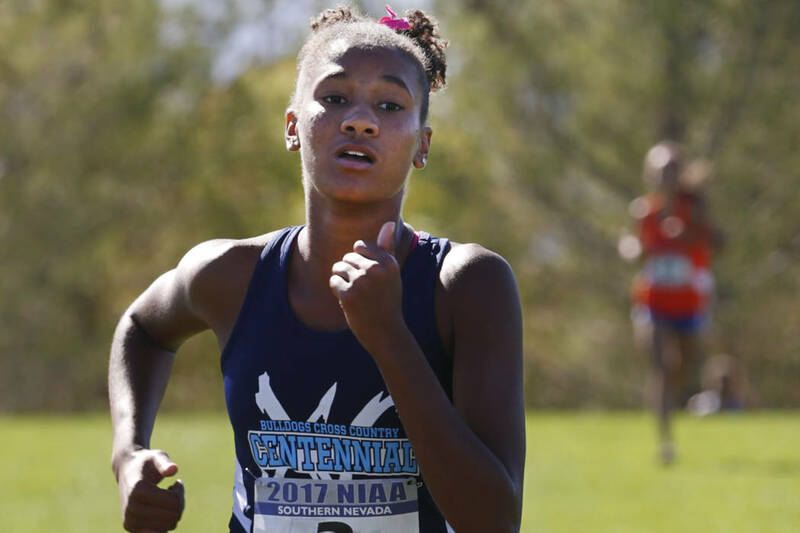 Centennial coach Kisha Finch said her team pushes each other throughout the season, and creates a culture of competition within the program. 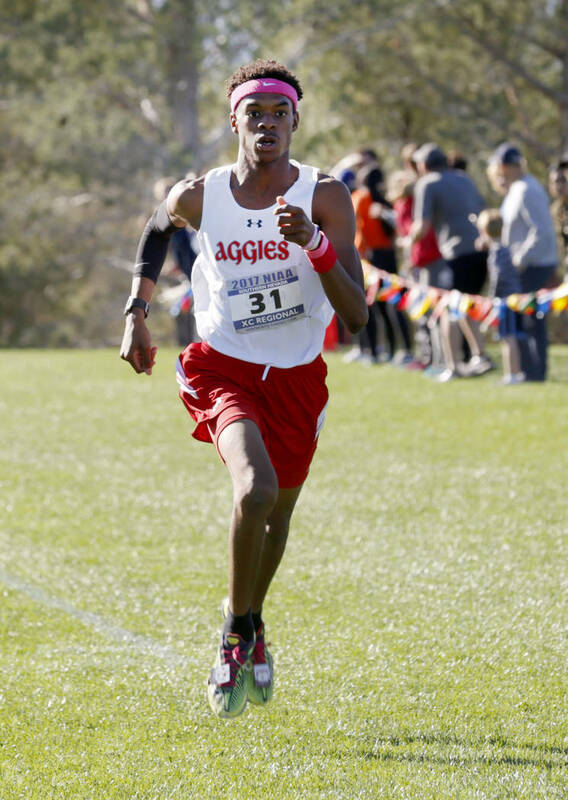 Arbor View senior Keith Williams joined Gourrier as a region champion by posted a time of 16:58 to win the boys championship. 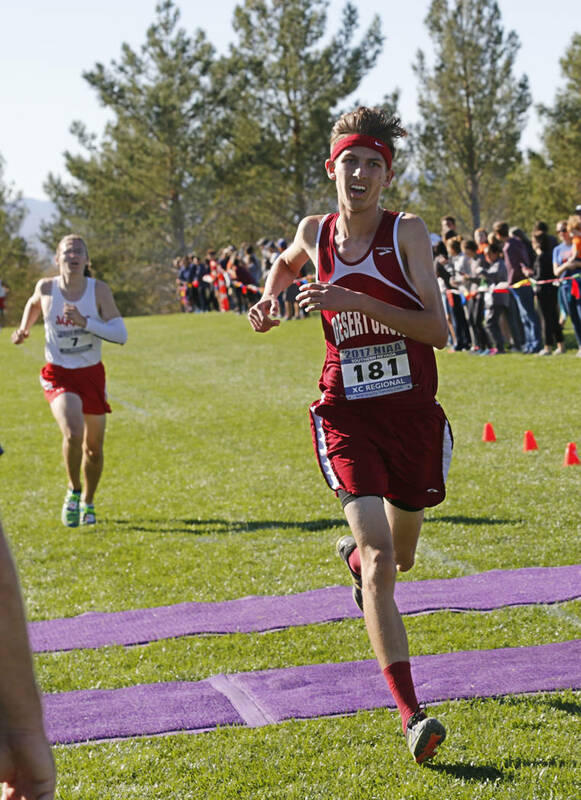 Conner Nicholas of Desert Oasis finished in 17:10 for second place. Williams, who grew up playing football and didn’t run cross country until his junior year, said he didn’t expect to ever win a region championship. Williams teamed with teammates Ian Jackson, Noah Ayala, Andrew Parker and Mario Gutierrez to guide the Aggies to 4o points and the team title. Centennial finished second with 89 points. 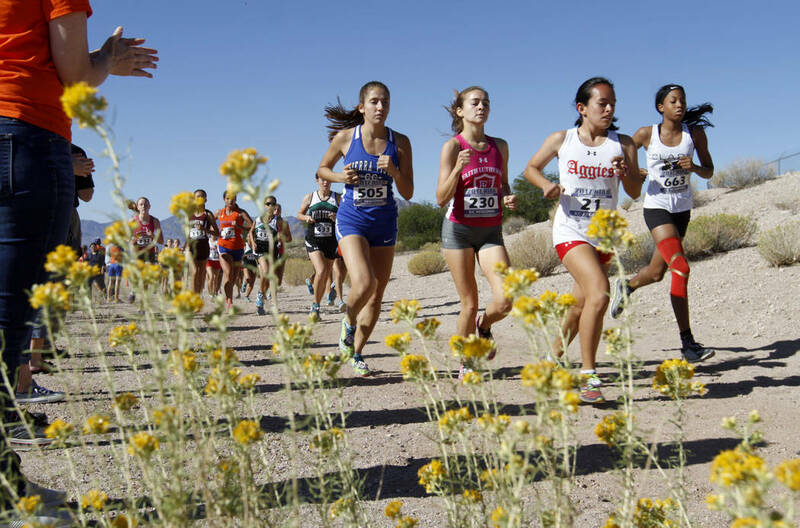 Jackson finished third, Ayala fourth, Parker 11th and Gutierrez 21st, and Arbor View coach Sheina Torres fought back tears when she talked about the strength of her group.